I will be participating in a "Dracula" event in Los Angeles on October 29. Here are some of the details. 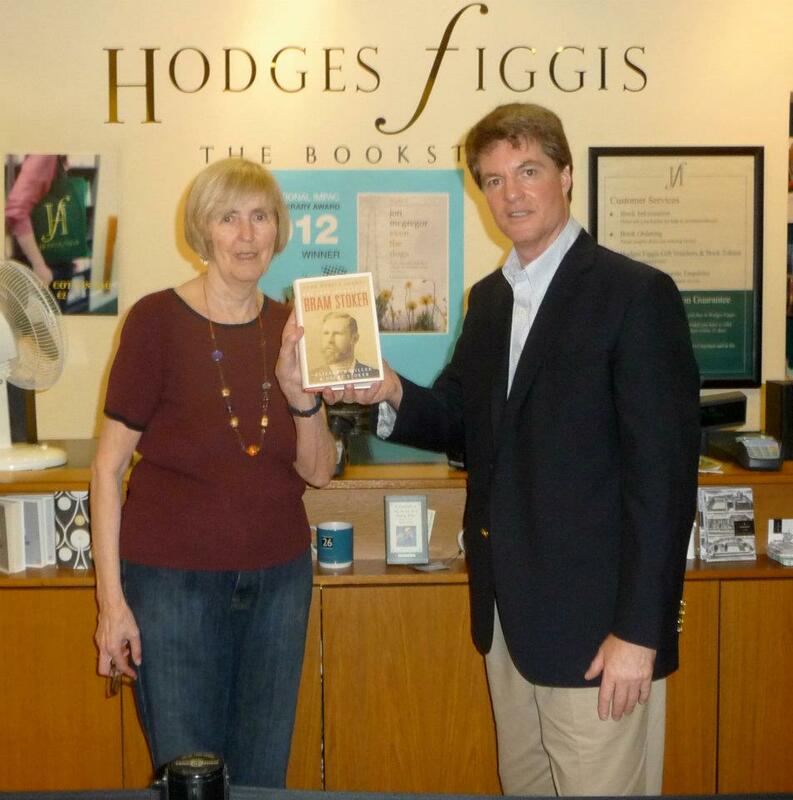 A "round table" on Stoker's novel will be hosted by novelist Mona Simpson. Guest panelists include David Skal, Leslie Klinger, Elizabeth Miller and Jonathan Grosman. Event takes place at 7:30 p.m. on Tuesday, October 29. Venue is Hammer Museum of Art & Culture Centre, UCLA. In the Annex. Museum is located near intersection of Westwood & Wilshire Blvds. All are welcome. Free admission. The Everhart Museum of Natural History, Science & Art in Scranton PA is the site of a new exhibit that might be of interest to vampire/Dracula enthusiasts. From Feb 1 until July 2, 2013, the Museum presents "The Blood is the Life: Vampires in Art & Nature." This is an interdisciplinary exploration of vampires in our world, both in fact and fiction. For more information visit the Museum's website http://www.everhart-museum.org and follow the link for Exhibitions - current. 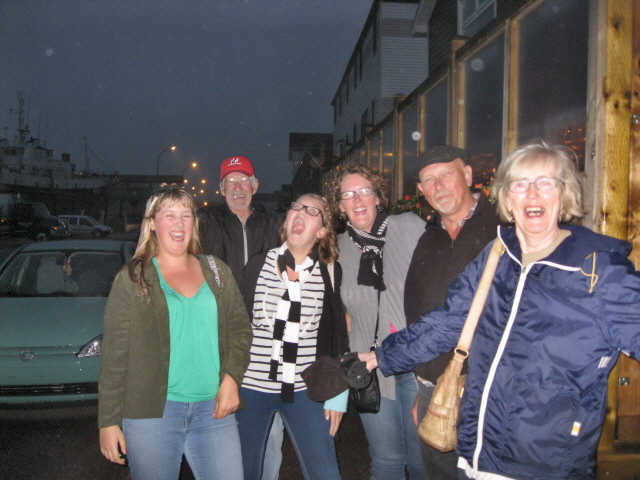 First of all, we spent two days/nights in St Pierre. Even though I lived in Newfoundland for most of my life, I had never made a visit to this unique place. 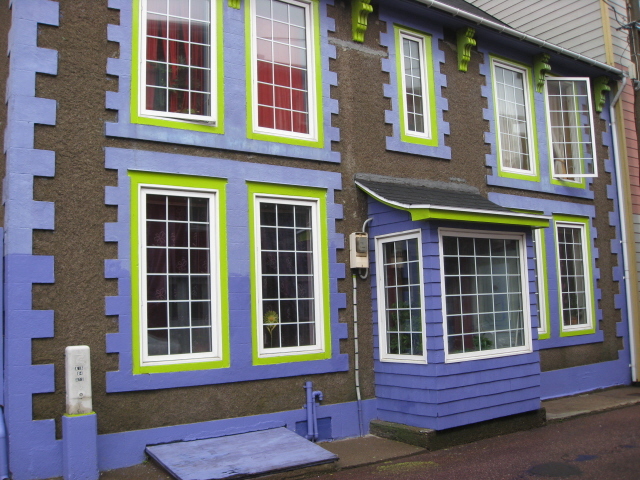 St Pierre (& Miquelon) is located about 12 miles off the south coast of Newfoundland (Burin Peninsula). Though it is 2300 miles from France, it is a French territory. We took advantage of the French food (including crepes, bread, escargot, etc etc) and of course le vin! Shopping was great, too. St Pierre is not a place to go for fine weather (tends to be very foggy in that part of the world) but we fared quite well. Here we are after a night on the town. Here's a sample of the colorful buildings. Following the St Pierre visit, we spent a couple of days on the "boot" of the Burin peninsula. Highlight was a visit to St Lawrence where we found out how to get to Chambers Cove. Chambers Cove was the site of a famous naval disaster during WWII. In February 1942, during a blinding snowstorm, two American naval ships (Pollux & Truxtun) ran aground below the rocky, icy cliffs. There were 203 sailors lost, but thanks to the courage of the residents of St Lawrence and Lawn, 186 others were hauled up the steep cliffs and rescued. Especially poignant is the story of Lanier Phillips, an African-American sailor whose life was forever changed because of his experiences in St Lawrence. Or read the book "Standing into Danger" by Cassie Brown (Flanker Press). Never did get around to posting details about the trip to Newfoundland. I am awaiting photos from my sister & will post a few when I get them. Meanwhile I have been very busy. Just when I thought I'd have some spare time to do other things, Dracula material keeps landing on my desk. It is certain that the Count will never die! But I am determined to move along on another project dear to my heart - memoirs. During October I'll be doing two "gigs" here in Toronto: one at the Toronto Garlic Festival ("Why does Dracula hate garlic?") 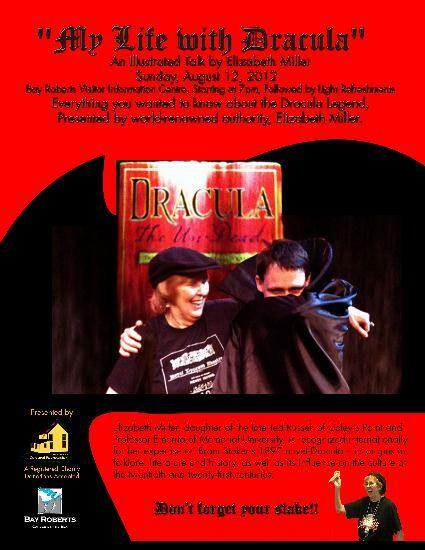 and a PowerPoint presentation on Stoker & Dracula at Victoria College Library, U of Toronto. I will post more details (dates, times, locations, etc) later. Both will be open to the public. 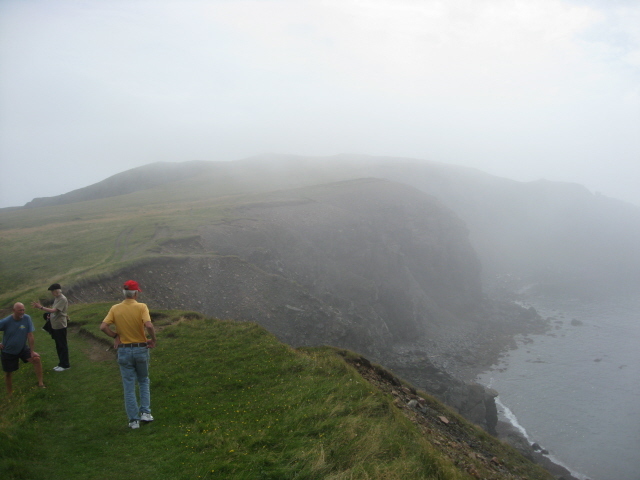 I have just returned from a wonderful two-week vacation in Newfoundland. Included was a trip to the French island of St Pierre. I'll be posting details of the trip, along with a few photos, later. I have quite a bit of catching up to do first. the culture of the twentieth and twenty-first centuries. purchased copies which are brought to her. presentation, and as she would say - don’t forget your stake!! I will be visiting Newfoundland in August and spending a few days in the St John’s area (before heading to St Pierre & the Burin). I’ll be doing two Dracula-related things – for anyone who is interested. Here are a couple of more photos (thanks, Dacre!) from our recent visit to Dublin. Dacre Stoker & I signing books at a Dublin bookstore. 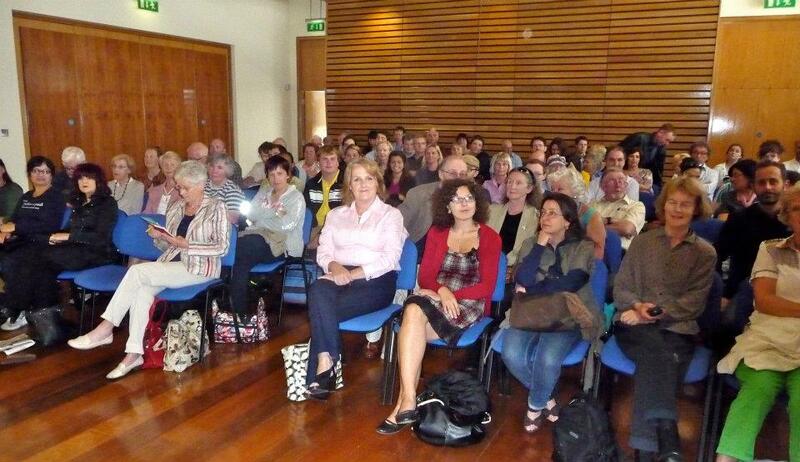 Attendees at our PowerPoint presentation - National Library of Ireland. If you look closely, you can see a book with a yellow cover on the church altar near the cross. No, it is not the Bible, nor is it the Book of Common Prayer. It is a first edition of Dracula. On Sunday July 8, as part of a series of commemorative events, St Ann’s Church on Dawson Street in Dublin held a service of remembrance and thanksgiving to mark the centenary of the death of Bram Stoker. Stoker was a member of the congregation of St Ann’s and it was there that he married Florence Balcombe in December 1878. I was expecting this to be a small gathering of Stoker family members and enthusiasts but it was the regular Morning Prayer service of St Ann’s (Church of Ireland) with a large number in attendance, including a visiting choral group from Michigan. As the procession walked up the centre aisle towards the chancel, the clergyman carried in his hands a first edition of Dracula that Stoker had inscribed to his friend and dedicatee, Hall Caine. The book was then placed on the altar. Not far away, the proceedings were watched by Stoker himself (in bust). 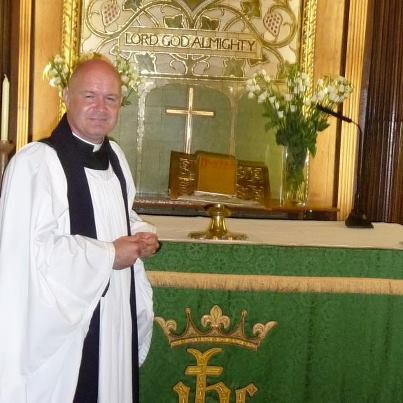 The address (sermon) was delivered, not by the clergyman but by Robin MacCaw, Bram Stoker’s great-grandson, who spoke about Bram and the writing of Dracula. At the end, the clergyman moved to the back of the church where he greeted attendees as they left, with Dracula in hand. This was surely a “first”. I doubt if I will ever see anything quite like it again. It was almost surreal.